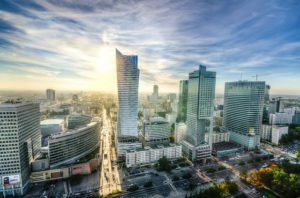 The next SIG 27 Biennial Conference will be held at University of Warsaw, Institute of Applied Linguistics, Poland. The Conference will jointly organized with the 6th Polish Eye Tracking Conference. But of course all other Online Measures covered in SIG 27 are also welcome. The Emerging Field Group initiative is intended to support researchers active in innovative and exciting fields. EARLI Emerging Field Groups (EFG) consist of a small group of internationally active researchers working in the field of learning and instruction active within a new, emerging field of research. EARLI offers these researchers the opportunity to work together during a short but intense period of time to explore the possibilities in their shared field of interest. EFGs are intended for exploratory, innovative and risk-taking approaches. Being part of an Emerging Field Group allows for its participants to focus on experimental and new fields of research, with an emphasis on exploration and process rather than output and product. Following a lengthy evaluation procedure, four applications have been granted the EARLI Emerging Field Group funding for 2018 – 2020. The first two EARLI emerging field groups nominees show that triangulation and combination of new data sources like portable EEG and other physiological data promise new insights into learning and regulation processes. It can be expected that these emerging fields will gain strength within in the scientific community for the next years. Following this open call, EARLI welcomes all applications that demonstrate a clear link to the EFG eligibility and evaluation criteria described in the EFG Policy. We also ask that each EFG supplies a short video supporting the application. This video should address how the EFG aims to promote innovative research through new methodologies, risk-taking approaches, new theoretical concepts and/or multidisciplinary efforts … . Therefore, the video application (max. 3 minutes) should not be a direct copy of the written application. Rather, it is an opportunity for EFG applicants to stress the main aims and scope of the EFG. 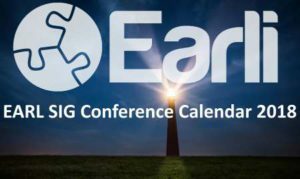 The calendar for the meetings of the Special Interest Groups (SIG) of EARLI is online! The European Association for Research on Learning and Instruction (EARLI) is an international networking organisation for junior and senior researchers in education. EARLI has 27 Special Interest Groups representing researchers who study one or more parts and/or aspects of the field of Learning and Instruction. 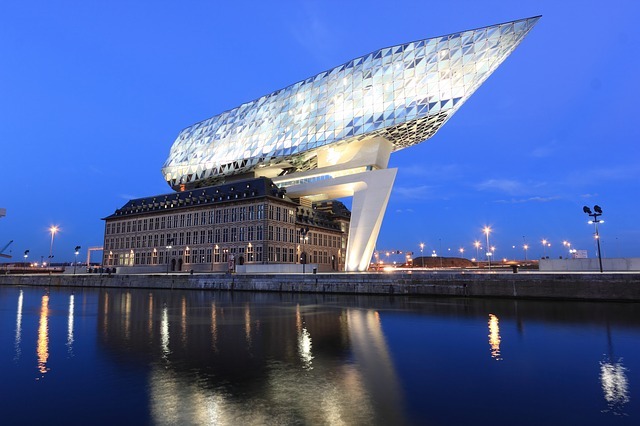 The next JURE Conference 2018 will be held at the University of Antwerp, Belgium. 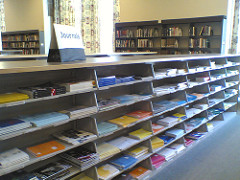 JURE are the JUnior REsearcher (JURE) of the European Association for Learning and Instruction (EARLI). The theme of the JURE Conference 2018 is “Learning and instruction with an impact – scaling up the skill, will and thrill of learning”. The conference presentations, workshops and keynotes will showcase the newest findings about the cognitive, motivational and emotional aspects of learning and highlight the practical implications for practice and policy. Emerging chances and challenges of process measures. Over the recent years, research within EARLI increasingly focuses on studying learning as a process (how and why does the learning take place?) rather than just the outcomes of learning. As a consequence, process measures, so far used mainly in fundamental research (e.g., eye tracking, EEG), are increasingly being applied to educational science. Process measures make it possible to measure and visualize learning processes as they happen. 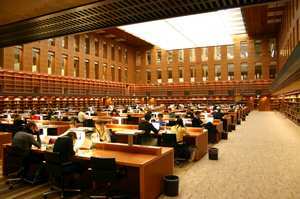 This application requires the development of novel methodological approaches. The current special issue aims at critically discussing these methods with respect to their explanatory power for researching learning. In research practice, these measures offer researchers many opportunities, but they also raise many challenges. These include combining process measures of different levels of granularity synchronizing measures, capturing the sequential nature of learning processes and defining reasonable epochs for analyses. Often, these challenges go by unnoticed as there is rarely any room to discuss them in traditional empirical study papers. Due to this lack of exchange, researchers often re-invent the wheel. The contributions to this special issue should include studies on learning that apply these new measurements and put their findings up for discussion. The aim of this special issue is that all contributions reflect on the strengths and limitations of their measures and provide a statement on how informative their data can be for researching learning. The discussants will address these statements and relate the papers to the current state of learning research. This special issue is based on the initiative of EARLI SIG 14 and EARLI SIG 27. However, all interested researchers are invited to contribute to this special issue. All articles will be thoroughly reviewed according to standards of Frontline Learning Research, an official EARLI journal. If you are interested in contributing to this call, please send a 300-word abstract to Ellen Kok (e.m.kok@uu.nl) before December 20th, 2017. This new and free Handbook of Learning Analytics covers a broad sprectrum of topics including Emotion (from Sidney D’Mello) and Self-Regulated Learning (from Philip Winne). Citation: Lang, C., Siemens, G., Wise, A., & Gašević, D. (Eds.). (2017). 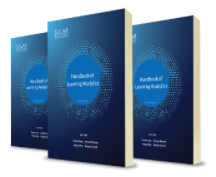 The Handbook of Learning Analytics. Society for Learning Analytics Research. Find the table of content here. Please find some RSS feeds from important journals in the field of motivation, learning, higher education and computer here.